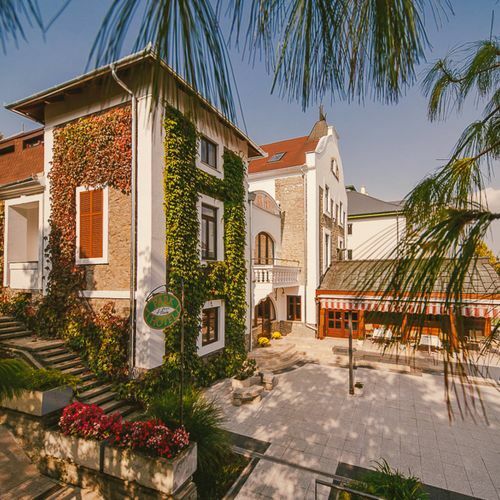 Our hotel, located in the heart of Hévíz Spa, only 200 metres away from the unique Lake of Hévíz awaits you our elegant hotel in a relaxed atmosphere. 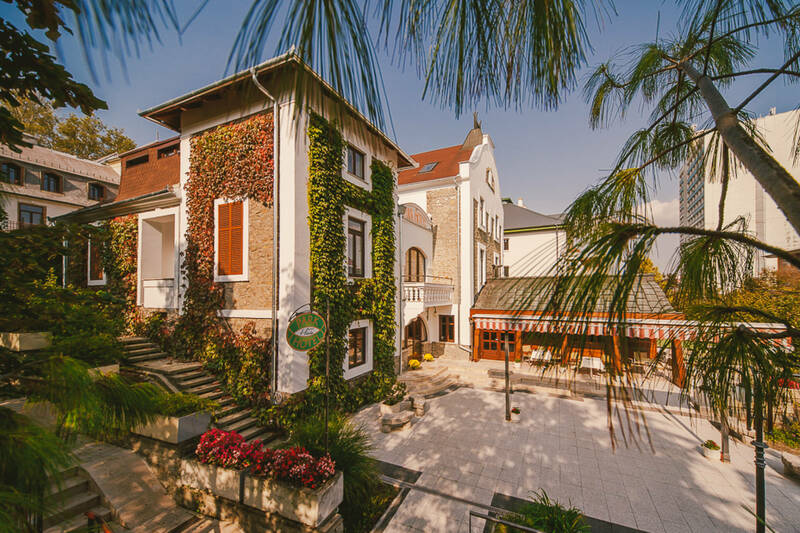 Park Hotel***Hévíz was fully renovated in 2015 and we strived to restore it as close to its original structure as possible. 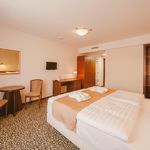 All the rooms are renovated, offer complete bath with hair dryer, equipped with flat screen TV, safety box, telefon, refrigerator, brandnew beds, individually controllable air-conditioning/heating. The hotel doesn’t have any elevator, and so guests with physical disabilities can face some difficulties while using the stairs. You can take our abundant and varied buffet breakfast (included in the room rate) in the breakfast room of Park Hotel, or -weather permitting- on the terrace, daily from between 7:00 and 10:00. A free parking area is located 600 metres from our hotel. While taking your luggage from and to your car you can park at the József-Attila-street entrance of our hotel. 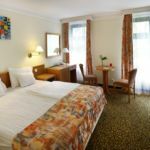 The rating of Park Hotel Hévíz is 9.3 from the maximum 10, 222 based on actual and valid guest ratings and reviews. Based on the reviews and comments of actual guests, the services of the Park Hotel Hévíz have received a high rating of 9.2/10.